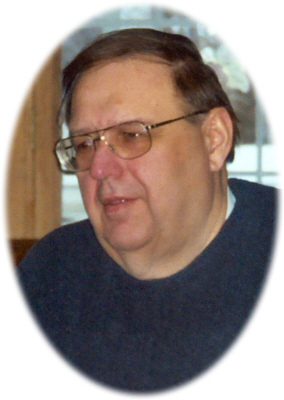 Richard Stephen Fabus age 72, of Saginaw, and formerly of Elsie, MI, passed away Tuesday, October 30, 2018, at Henry Ford Hospital, Detroit, MI. A Mass of Christian Burial will be held at St. Cyril's Catholic Church, Bannister, MI, on Friday, November 2, 2018 at 11:00 A.M., with Rev. Fr. Bill Gruden officiating. Burial will take place at Ford Cemetery, Gratiot County, MI. Visitation will be held on Thursday, November 1, 2018 from 2-8 P.M. at Smith Family Funeral Homes. Elsie Chapel. There will be a Scripture Service held 6:00 P.M. Thursday at the funeral home. Richard was born in St. Johns, MI on November 26, 1945, the son of Steve and Mary (Chmiko) Fabus. He graduated from Elsie High School and Central Michigan University with a bachelor degree in teaching. Richard taught school for the Saginaw Public School system for 30 years and retired in 1998. He was a member of the SEA, MEA, NEA, and the K of C of Holy Spirit Church. He enjoyed bowling on the Saginaw Educators Bowling Team and he was a volunteer at St. Peter & Paul Elementary School. Richard coached football at Webber Junior High School in Saginaw for many years. He was a member of Holy Spirit Church in Saginaw, MI. He is survived by 2 sisters: Barbara Fabus of Saginaw, MI; Elaine and John Kuchar of Henderson, MI; niece Sharon Kuchar of Lansing, MI; nephew Michael and Neva Kuchar of Georgetown, TX; and great nephews: Cameron and Connor. He was predeceased by his parents. Memorials may be made to Lions Club Leader Dog Program, 1039 S. Rochester Rd., Rochester Hills, MI 48307-3115, www.leaderdog.org/donate Online condolences can be made at www.smithfamilyfuneralhomes.com The family is being served by Smith Family Funeral Homes, Elsie, MI.